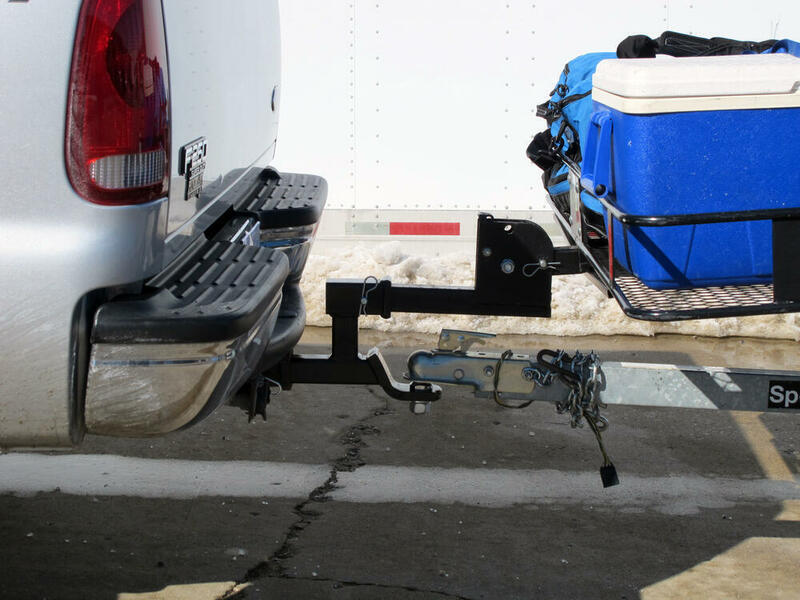 Carry accessories such as your bike rack or cargo carrier while also towing with this multipurpose ball mount. Receiver intended for accessories only. Do not exceed 750 lbs of total tongue weight while towing. 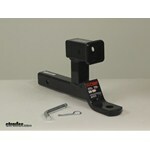 Call 800-298-8924 to order Curt ball mounts part number D210 or order online at etrailer.com. Free expert support on all Curt products. 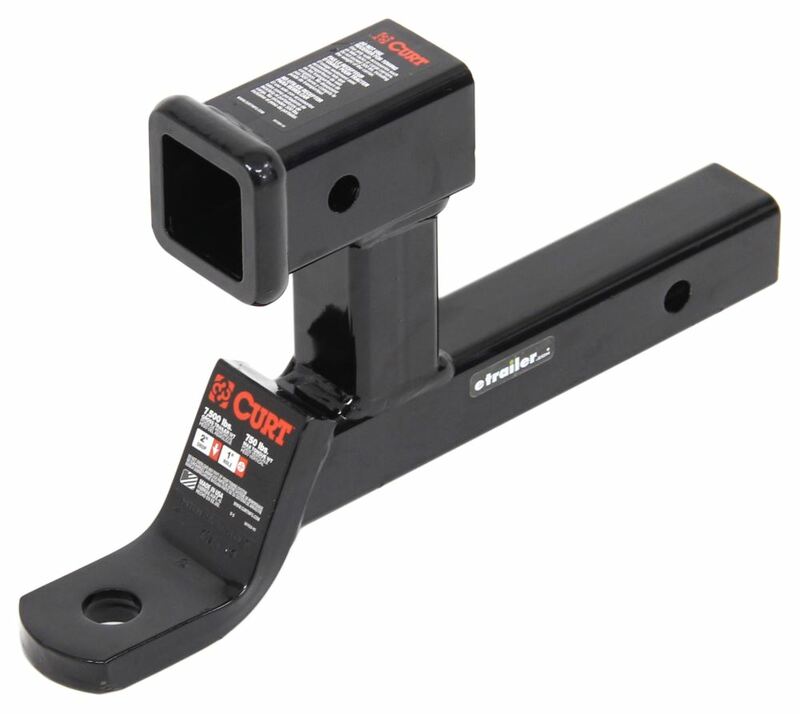 Guaranteed Lowest Price and Fastest Shipping for Curt Multipurpose Ball Mount with 2" Receiver for Bike Racks and Cargo Carriers - 7,500 lbs. Ball Mounts reviews from real customers. 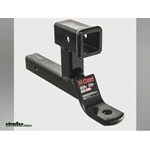 Accessory receiver size: 2" x 2"
Note: The receiver portion of this unit is designed for hitch-mounted accessories only. 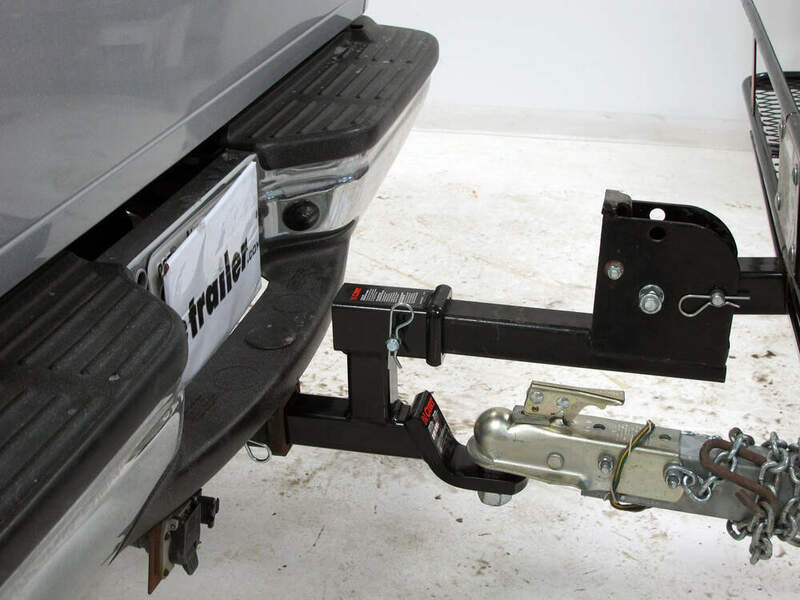 Do not use with an additional ball mount to tow a trailer. 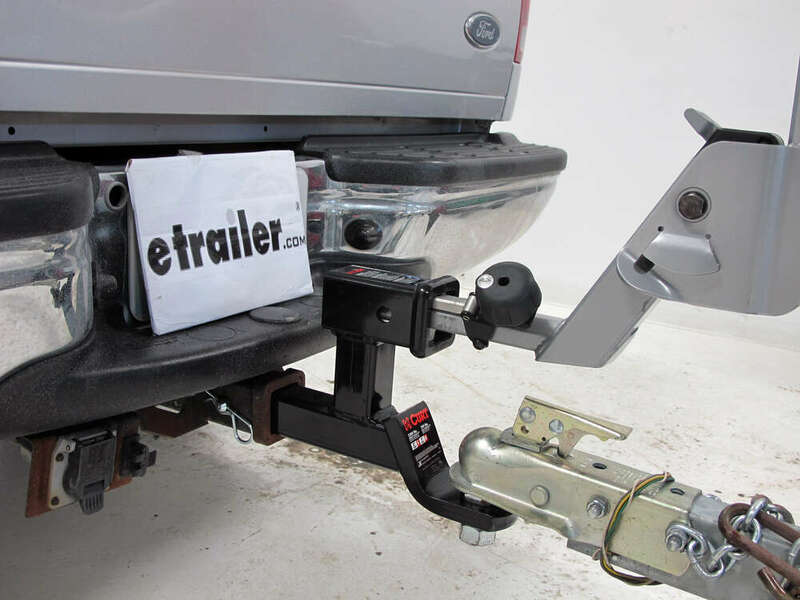 When mounting an accessory in this receiver, your hitch's tongue weight capacity will be reduced by 50 percent. 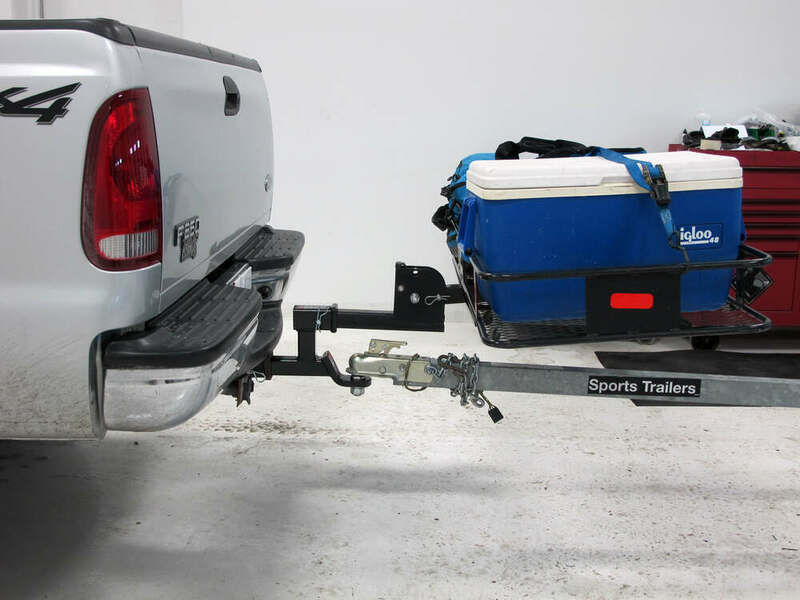 Use your hitch-mounted bike rack or cargo carrier while you tow with this multi-purpose ball mount. Black powder coated steel resists corrosion. Receiver intended for accessories only. 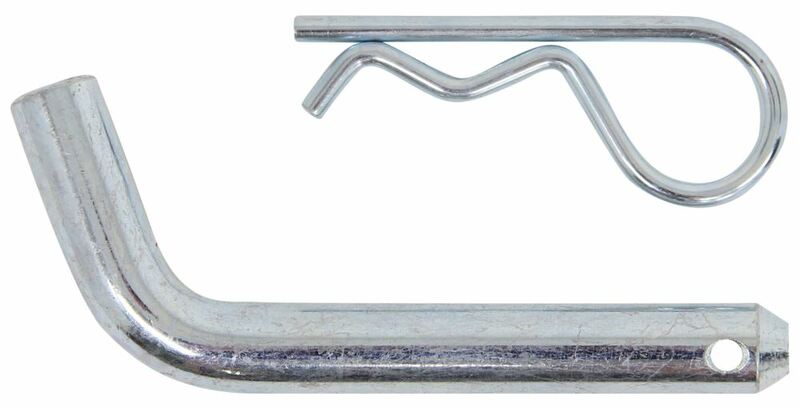 Hitch pin and clip sold separately. 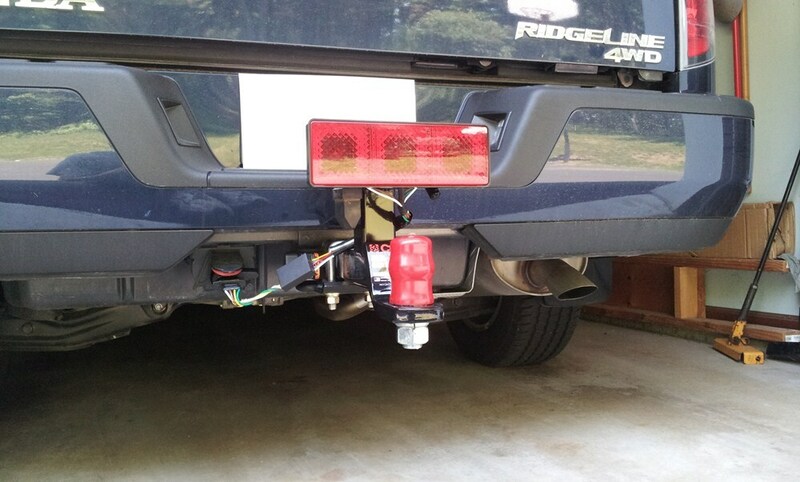 Order: RelevanceNewestRating - High to LowRating - Low to High Carry accessories such as your bike rack or cargo carrier while also towing with this multipurpose ball mount. Receiver intended for accessories only. Do not exceed 750 lbs of total tongue weight while towing. I still use this and love the ability to take both my camper and bikes this way. 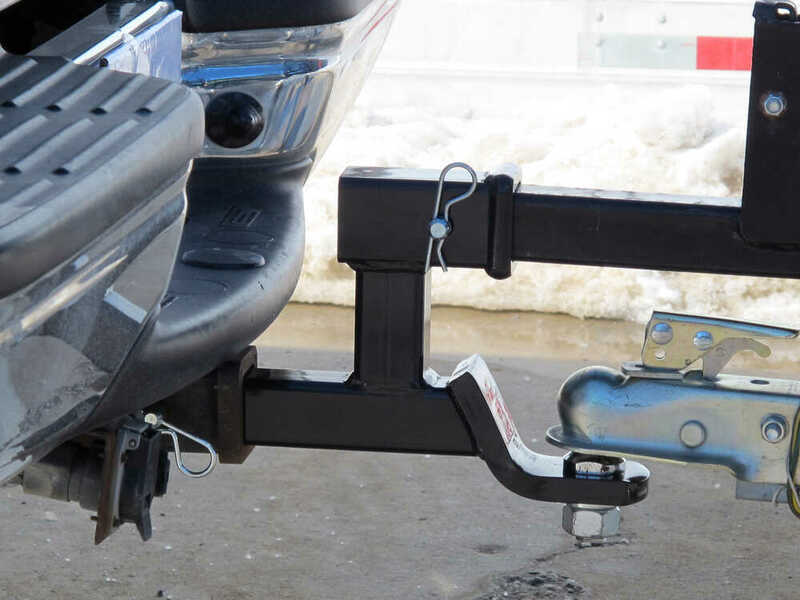 Have you used it with your boat yet and if so, any problems with clearance when turning? Ive had the receiver about a year now and have used it several times. Its well built and and works for what I purchased it for. 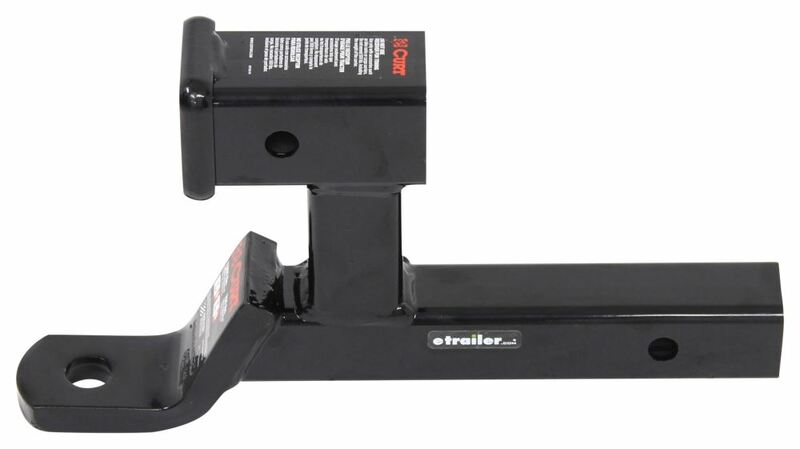 Does this not work due to the turning problem with the bikes coming in contact with the trailer or propane tank? I was thinking of getting this but not if that is the problem. 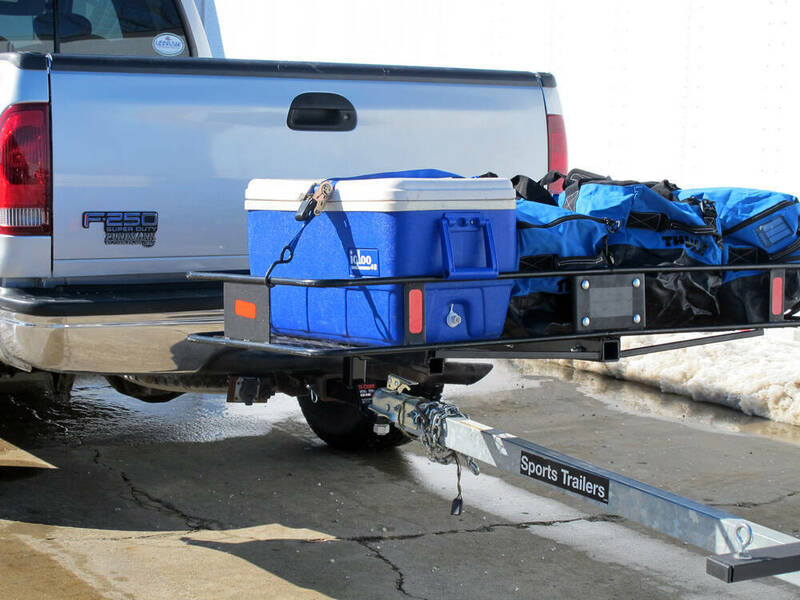 The effectiveness of the Curt Multi-Purpose ball mount # D210 used for both hitch mounted accessories is dependent on the configuration of the trailer, cargo on the trailer, and the hitch mounted accessories. 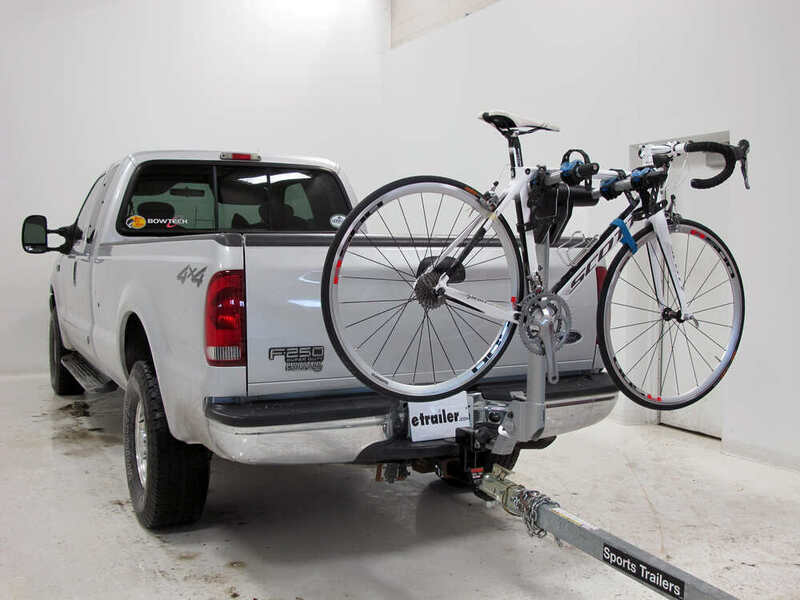 Using this with a bike rack is always interesting and you have to account for the hitch location on the towing vehicle, the configuration of the bikes, and the trailer set up. It is very easy for turning radius to be effected by all of these things. 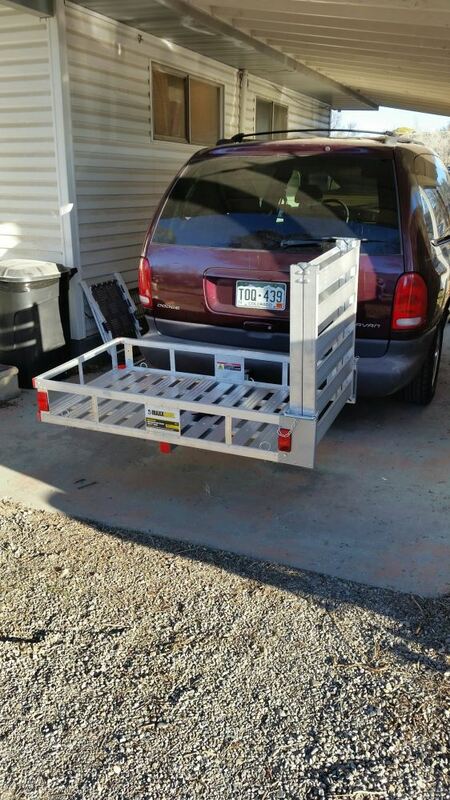 We do have other options such as towing bike racks and trailer mounted bike racks that you might consider. I have provided links to both of these product categories for you to view and see what may work best for your specific application. how many bikes does your bike rack hold? and, have you noticed any problems with turning sharp corners and your bikes coming into contact with your tent trailer? I will send Chad an email about your question. If he has anything to add, it will appear below his original review so keep an eye there. 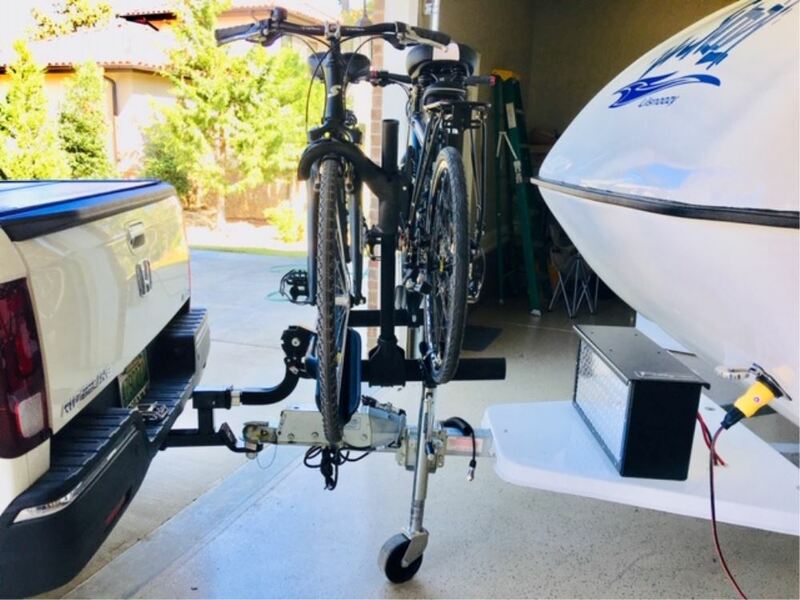 Turning ability is going to vary greatly depending on trailer shape and size, as well as the bike rack used and the shape and size of the bikes themselves. Also remember, this ball mount has a tongue weight capacity of 750 pounds. 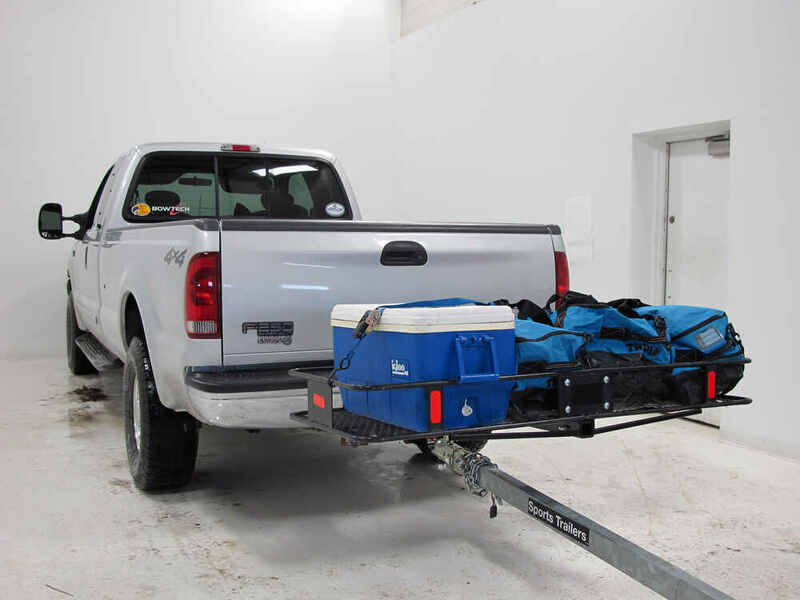 That means the tongue weight of the trailer, the weight of the bike rack and the weight of the bikes has to be less than 750 pounds or the tongue weight capacity of the vehicles hitch, whichever is less. If you need to carry 4 bikes and have a pretty hefty camper, this may not be the best solution. You can always contact us and let us know what you need to accomplish and we can certainly help you find a solution. Great. Solid as a rock. Car hit the thing, and I think it took the bumper of the car off. no damage to the hitch or my vehicle, what so ever. Thank you for your follow up, happy to hear you are pleased with your Curt Multipurpose Ball Mount. 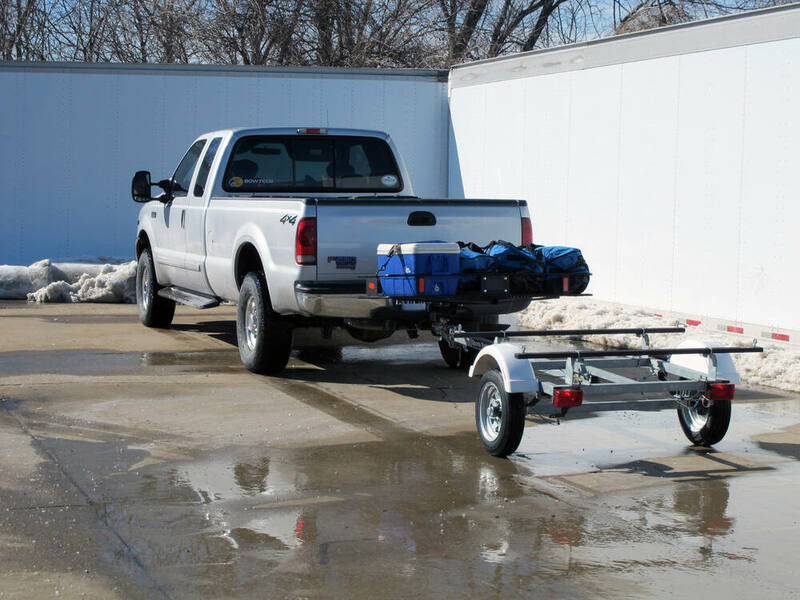 We do advise a thorough inspection of your hitch, attachment points to your vehicle, and the ball mount itself before using it for towing or accessories. If there is any indication of any damage to the components, welds, or attachment locations we strongly recommend replacing any damaged equipment.. Heavy duty. 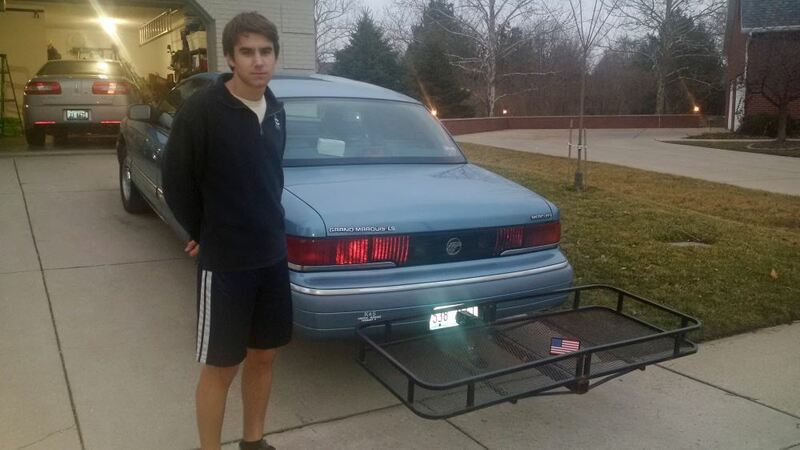 No issues and is used often to put my rack and tow a trailer. Perfect. A year later, still functioning as designed. I found my hitch pin hole to be slightly off but was able to make it fit. Still hauling the boat and carrier. 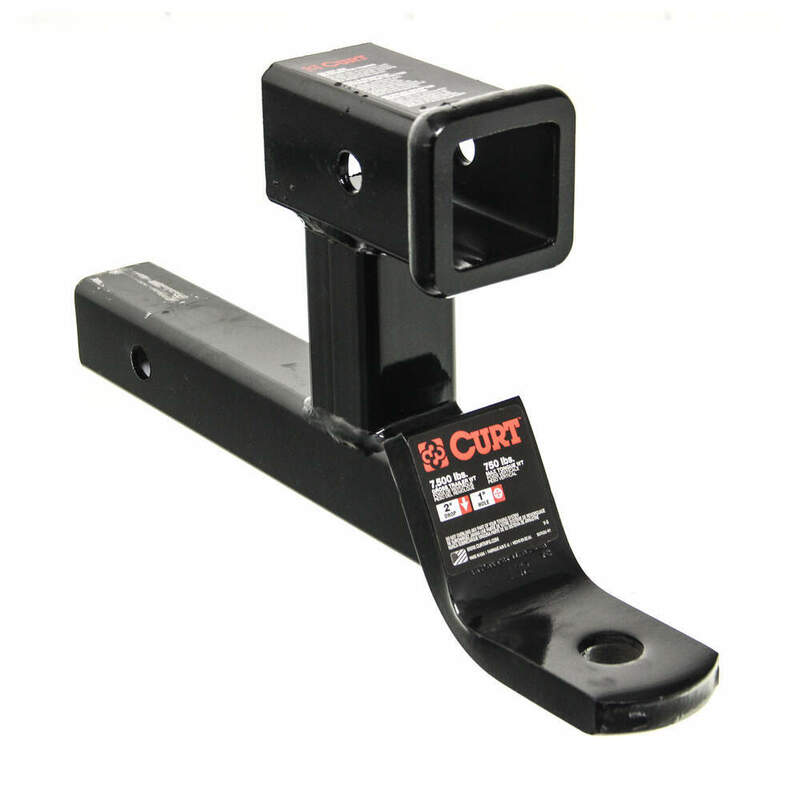 The Curt Multipurpose Ball Mount with 2" Receiver for Bike Racks and Cargo Carriers # D210 does not come in any other drop. 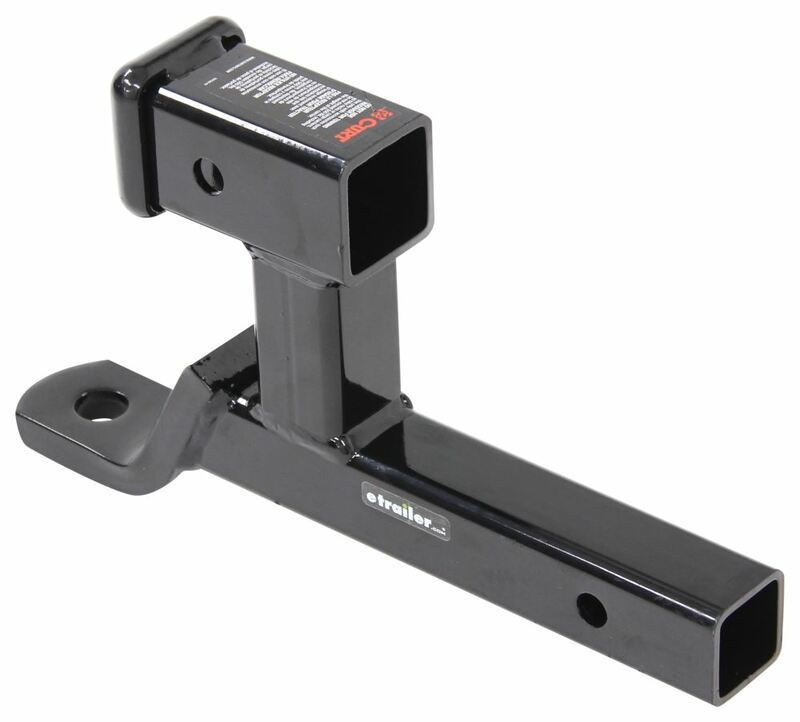 If you need more than the 2 inch drop, then your only option to also have the bike rack receiver is to use the Gen-Y Adjustable 2-Ball Mount w/ Stacked Receivers - 2" Hitch - 5" Drop/Rise # 325-GH-224. 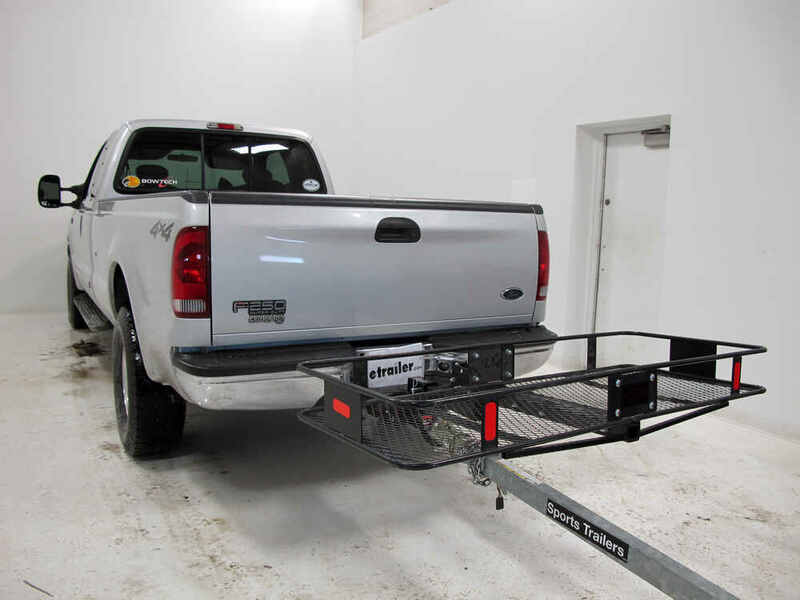 These stacked receivers will allow you to tow as well as use a bike carrier or cargo carrier.